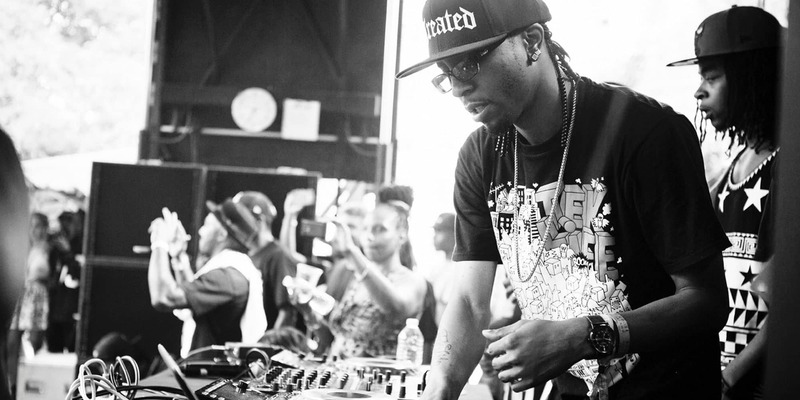 DJ Spinn has been active in Chicago’s underground music and dance scene since the late 1990s. Spinn’s music is primarily associated with Chicago juke, a footwork style he helped pioneer alongside DJ Rashad, DJ Gant-Man, and a handful of others—but his musical vocabulary spans styles from throughout the larger hip-hop universe and well beyond. The technology deployed by Spinn is similarly eclectic, ranging from an MPC 2000XL sampler and other classic hardware to cutting-edge software and the latest control surfaces. His tracks evidence his keen ears, deft touch, well-honed skills and adventurous spirit. As an artist with his finger on the pulse of the hip-hop and dance worlds, Spinn shared a few observations on hip-hop production trends and insights into his own work. What’s the most significant stylistic trend you’ve observed in hip-hop lately? The biggest trend in hip-hop that I hear is the trap sound, rooted in the Atlanta hip-hop style. That’s just taking off with every kind of style. It’s weaved its way into pop music, and R&B, and of course throughout the underground because that’s where it came from. Trap music is real big. Another trend in hip hop is using live instruments like guitars, bass and drums on records and when playing live shows. We’ve actually been experimenting with that for the past year and a half, too, though most of that stuff hasn’t been heard yet. Are you doing anything unusual when recording those instruments, or just using standard studio techniques? We’re just using standard techniques, though we do use tuning software to make sure that the guitars and everything are in tune. To what extent are hip hop producers still sampling with hardware as opposed to software samplers? It depends on the artist, but it’s usually a combination. My stuff is done half and half. There is some hardware, but everything is linked up through the computer so I don’t really consider it “hardware” in a sense. It’s more like peripheral in that everything is controlled from the computer. 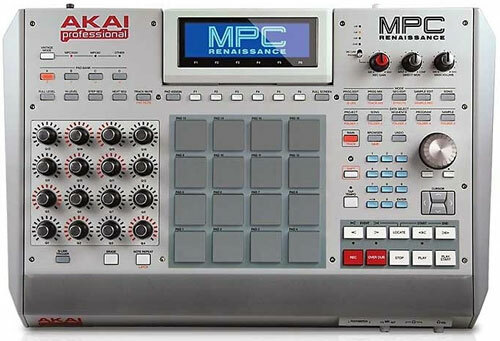 For sampling I have an Akai MPC 2000XL that I used until the screen broke, and when that happened I upgraded to an Akai MPC Renaissance. 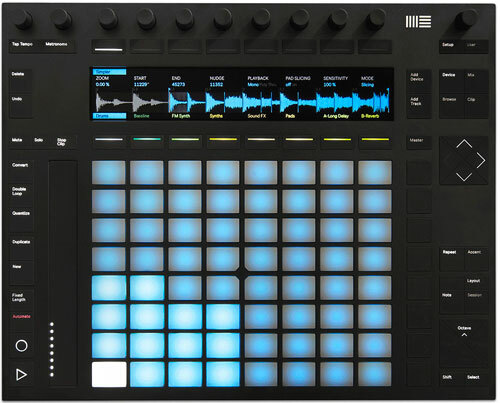 And I also got an Ableton Push, which puts everything at your fingertips all at once. Whenever I get the chance, though, I’m going to get that screen on my 2000XL fixed, because the sound that comes out of the analog outputs is one-of-a-kind and you can’t really replicate it with the [software] stuff. What are a few of your most frequently used music production applications? 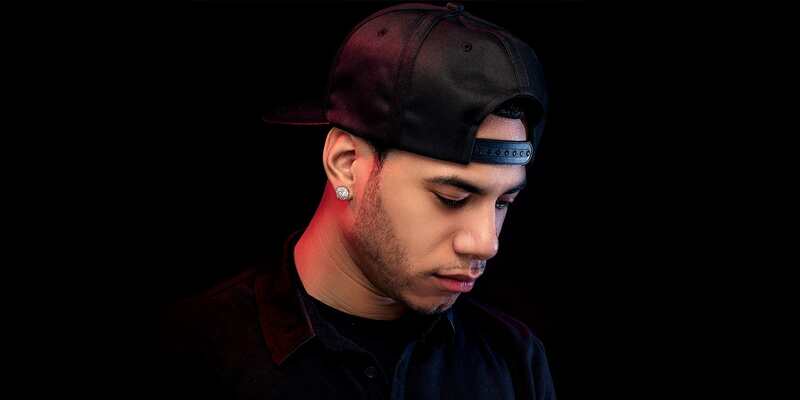 To study AraabMuzik on stage is to only vaguely comprehend the producer’s ability to manipulate and guide his Music Production Controller; the venerable Akai MPC. How has being able to do things like beat-matching, time-stretching and re-pitching samples more easily affected your music and hip hop generally? For me, it’s been both a gift and a curse, because when I had limited gear it made me more imaginative. If I got my hands on just one sound — any sound in the world — I would turn that into a whole song. Now, with all of the advances in technology, I can do almost anything. Also, back in the day you recorded whatever you did pretty much right away because there was no way to save it in the MPC. If you turned the power off or didn’t save your work to a ZIP drive, it was lost, and that pushed me more to get things done. Now, I can start 20 tracks and finish them anytime, though, which is also cool, so it’s both bad and good. Do you use mix or effects automation very often? No. I mostly just do analog-style recording and mixing with the digital equipment. And I don’t use much compression or other processing, either, unless I get an artist that wants a different type of sound. Do you use looping much, or do you use other techniques, like pasting and retriggering, to repeat sounds? Most of the triggering I’ve done was with the pads on the old MPC, but since I got Live I also sample straight into it and use the pads on the Push and sometimes the MPC Renaissance. When the Push came out it really became the mainstay for retriggering because you can put everything right in front of you, which allows you work really fast. Do you begin writing by creating a beat? It all depends, but these days I usually start by getting some melodies going on the piano or other keyboard, and that also starts the rhythm going. Making the drum beat is real simple to me. Producers and artists working in other genres have shoehorned elements of hip hop into what they are doing — even country music. Are you seeing anything like that being done by hip hop producers? Not in the same way. I think they are just being influenced by music in general. Right now the way I see music, it’s in kind of a genre-less space, meaning so many different styles of music are merging together. It’s like, “What do I call it when rock meets hip hop, and hip hop meets reggae?” Or, “What do I call it when house meets trap?” There are so many different kinds of people working together and collaborating. It’s really interesting and it really helps the musical scape of the world. Barry Cleveland is a San Francisco Bay Area-based journalist, author, guitarist, and composer. He was an editor at Guitar Player magazine for 12 years and at Mix and Electronic Musician magazines before that. His book, Joe Meek's Bold Techniques is a cult classic, and he also contributed to Whole Lotta Led Zeppelin. He has released five albums, as well as composing music for film, television, and video games.